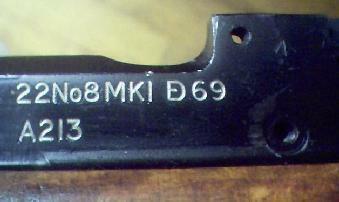 The British used many different .22 cal training rifles, but I currently only own two, a standard No2MkIV and a No8MkI. The .22 cal rifles are wonderful to collect and a true joy to shoot. They are generally very accurate, especially the No8. Here is an overall view of my No2. It is a lot of fun to take this one to the range, and watch the look on other shooters' faces when instead of the BOOM of a .303 they only hear the pop of a .22. There is a circular area on the foreend just to the rear of the stock band. This is where the foreend had been converted from an earlier model that had volley sights mounted on it. 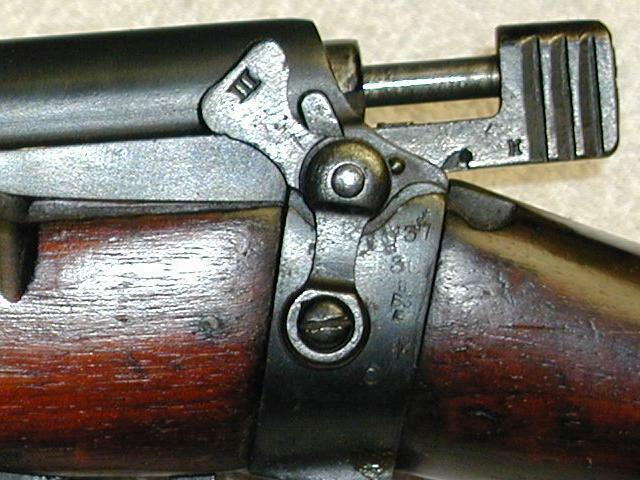 Close up view of the buttsocket markings on the rifle. 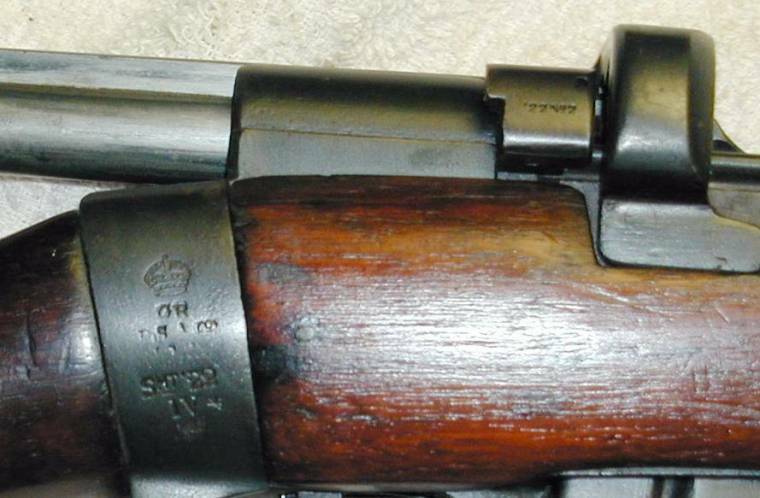 We can tell that it was originally made by Birmingham Small Arms Company (BSA Co), but due to the remarking of the reciever to SHT '22 the manufacture date is illegible. The crown and GR markings indicate that it is government contract and GR is latin, Georgius Rex, or King George. 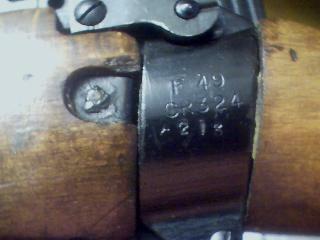 These markings on the opposite side indicate years in which the rifle was inspected. Yes, I know that the action is cocked, this was for photographic purposes to show the markings on the cocking piece.